Hello everyone! I’ve been so inconsistent with blog posts lately; university has been terribly hectic 🙁 But here I am again, with a post today and another coming up soon! 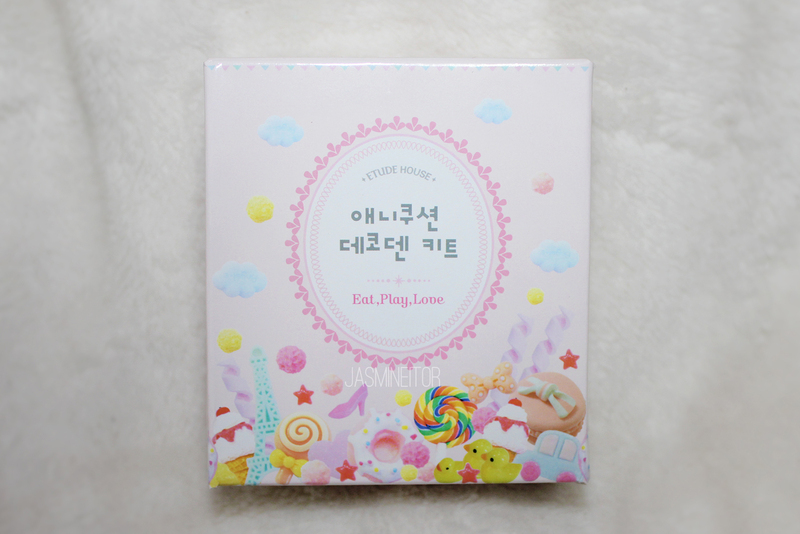 This week’s post is something a little special, as it’s a product that is yet to come out at Etude House but will be able to be purchased by the general public starting in June! 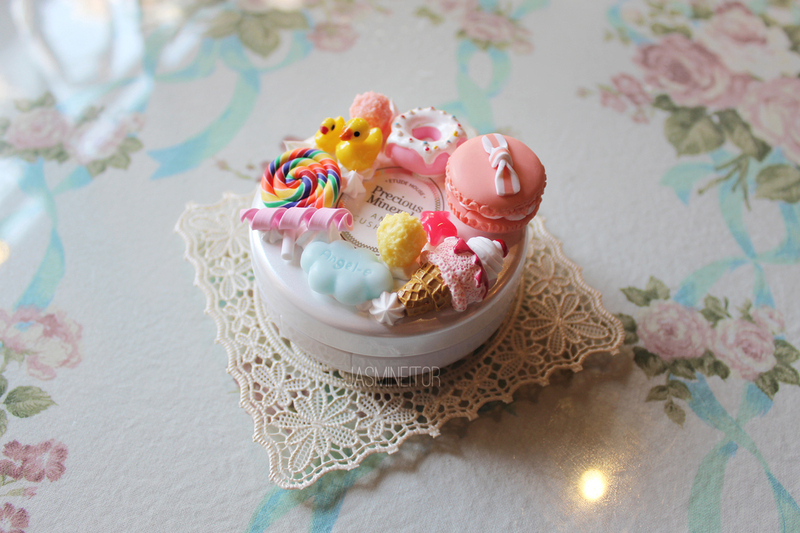 Etude House’s Any Cushion Decoden kit! 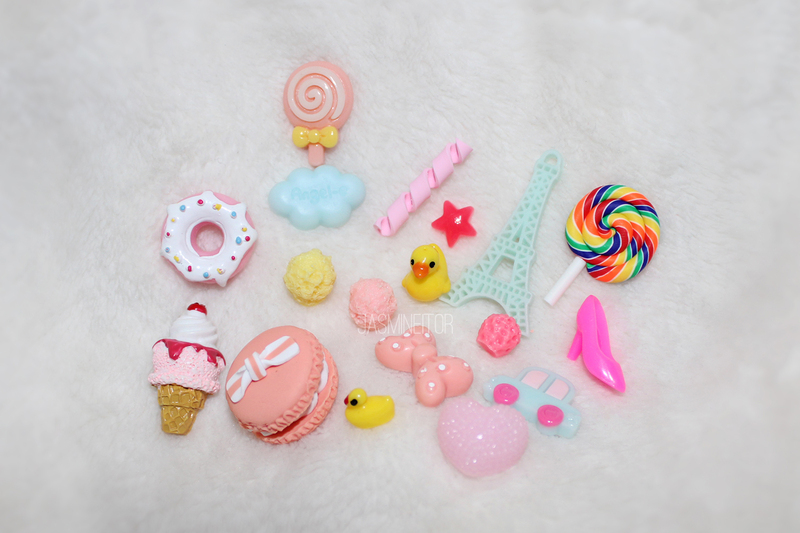 As you can see above, there are two varieties of the decoden kit you can get, the candy/toy version and the flower/pearl version. They’re both really cute but I naturally wanted the candy one as I have a weakness to all things tiny, with tiny food especially being my kryptonite. This is the box it comes in, which shows pictures of its contents on the outside. Even though the box indicates that it’s for gluing on Etude House’s Any Cushion foundation, you can honestly glue it to anything you want! Your phone, other cosmetics…the possibilities are endless! On the back you can see what kind of pieces are inside, and also simple instructions about how to make your decoden creation. 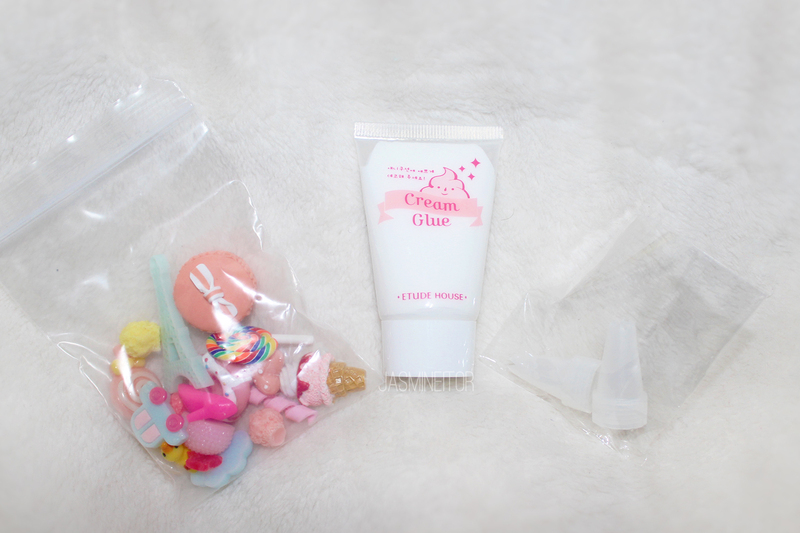 Inside are three things, the pieces you glue onto your cushion, a small bottle of cream glue, and two decorating bag tips (I forgot what these things are called in English – been in Korea too long!). I meant to take a close up picture of the tips so you can see what they look like, but they’re basically the same shape, with one simply being smaller than the other. The bag contents! 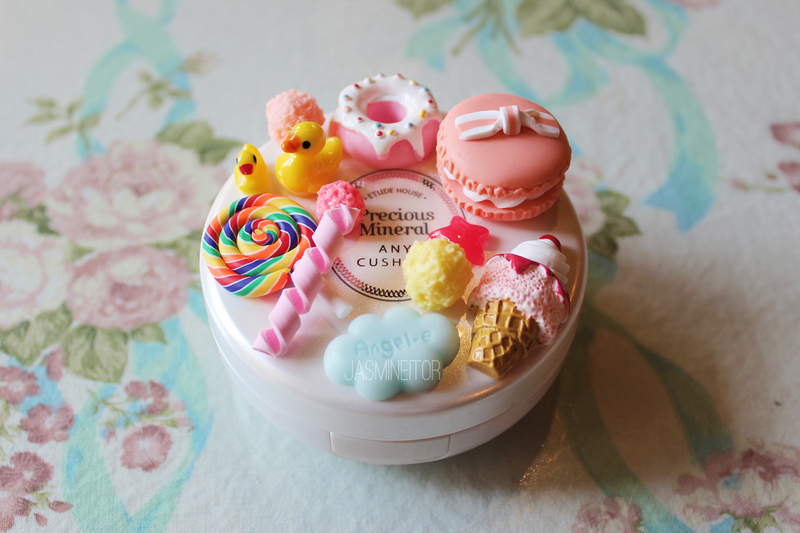 So many cute things :’) The variety is divided into tiny food, and toys. You can choose to go with one or the other, or mix a bit of both! I don’t think it’s possible to fit everything onto one Any Cushion case, so it’s possible to use what’s left over for another decoden project! First I recommend you set up the decoden on top of your cushion in the way you want to do it, rather than starting to glue right away. I set it up like this, using tweezers to put on the smaller pieces, and took this picture of it for reference for when I started making it. I didn’t choose any particular order, but you can look at pictures on Etude House’s website, or on Instagram under the #나만의애니쿠션만들기 hashtag to get inspiration for your own. And voila! I glued everything down! You can also cover the middle part, but I preferred not to as I thought it looked cuter this way with everything arranged in a circle. 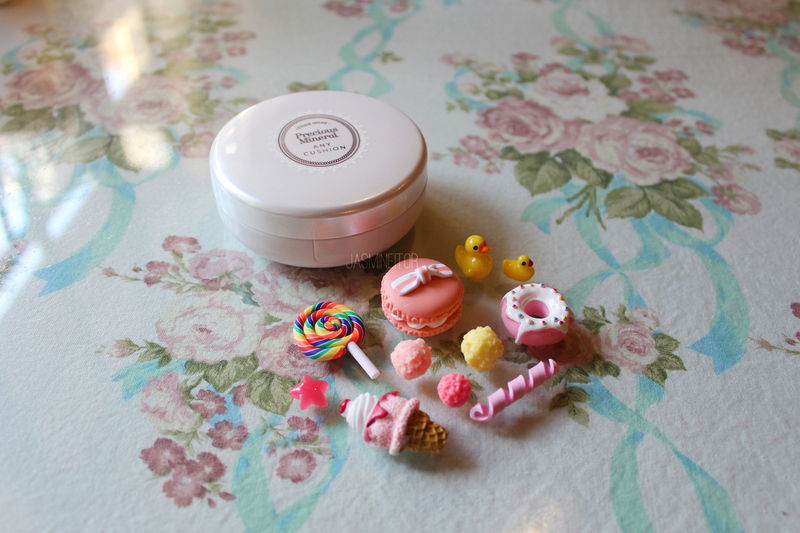 It was also the way Etude recommended to do it in their instructions! I was too worried of messing it up by taking pictures while I was making it, so I don’t have any process pictures but basically all you have to do is screw a decoration tip onto the cream glue, and squeeze so that it comes out. 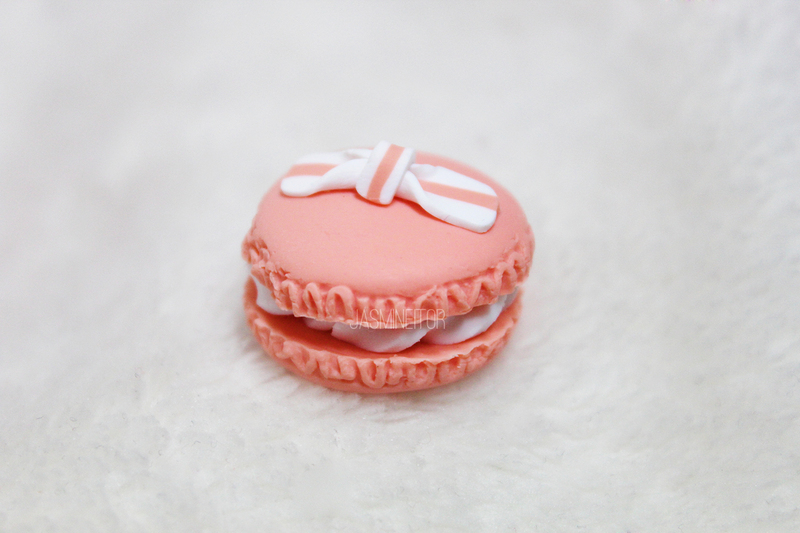 To make the little cream dollops you can see in the picture above, I used the same technique you would use on a cake (I have some experience with icing cakes simply because I…really like cake. No shame!). You squeeze out enough of the glue without moving the tip, then when you get enough out, lift the tip slowly so that it forms a point. After setting down a decently thick glue base where you want to put one of the charms, press the charm down gently on top and wiggle it until it’s in the position you want. I recommend doing this one by one, lest the glue dry before you can set down everything. The glue dried within 30 minutes, which might be due to it being quite hot outside, but just in case, I suggest leaving it for at least an hour before you touch it! Final thoughts: SO HAPPY!!! I enjoyed doing this so much – so much that I want to go to Dongdaemun where I hear there’s a market that sells materials to do stuff like this! 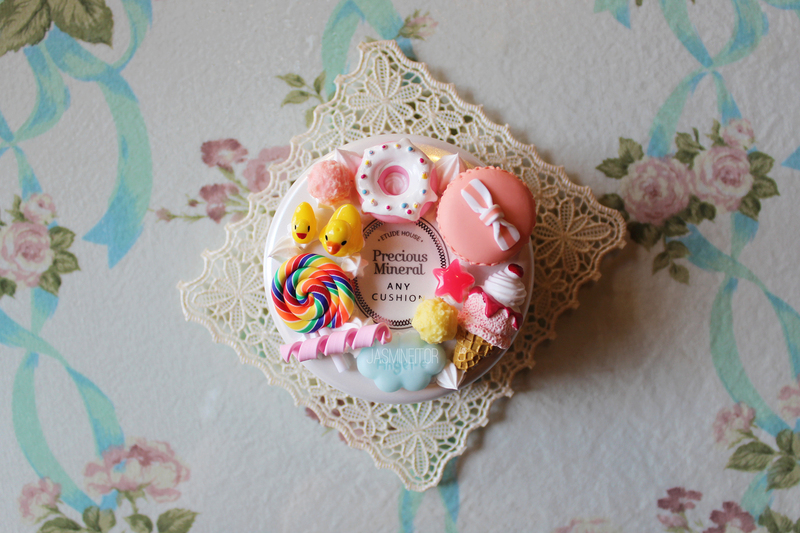 I want to decoden EVERYTHING. There were enough pieces and a lot of glue left to do something else, so I’m definitely going to do so! This will be coming out in June, and they will either sell it as a standalone product, or as a set with the Any Cushions. Knowing Etude House, you will be able to buy it full price standalone or at a discount if you purchase it along with an Any Cushion. Either way, it’s definitely something to look forward to!!! I will be attending the Etude House Beautizen Beauty Camp retreat over the weekend, and will make a post with pictures from that talking about my experience and explaining how people who live in Korea can become Beautizens. Stay tuned for a new post soon about a great coffee shop I’ve been going to often lately!